While there are many ways that you can maximize your running performance, there are other factors that you can’t control, like your height. Pacing is different for everyone and that largely may have something to do with leg length. If your legs are shorter, you may feel like it’s harder to keep up with someone with longer limbs. But it’s possible that feeling is just in your head. We talked to Aaptiv Trainer Kelly Chase, who doesn’t let her height stop her from hitting those fast speeds, for her thoughts on how height impacts speed. Does height affect how fast you can run? In reality, it doesn’t make as big of a difference as people think. In fact, while tall people may have longer stride length, they also generally carry more weight than shorter people, which can even out the playing field (although, this, of course, varies from individual to individual). Other things that contribute to running speed: flexibility and strength. No matter what height you are, running to improve speed requires both of those things. Even the tallest person in the world couldn’t hit their highest pace potential if they aren’t aren’t practicing strength training or improving flexibility. Aaptiv can help with our stretching workouts! So, don’t let height stop you from chasing after those fast times. “I thought the same way, but honestly, after continuously training using exercises that challenged my mind and body, such as hill repeats, sprint work, [and] even just pace progression intervals, my pace significantly improved,” says Chase. Focus on consistent training full of variety to work up to your top speed. When it comes to running faster, there are many other variables that matter much more than your height. Here are some ways to improve your pace speed, without the extra inches. Cover different types of running workouts so that you can reap the benefits of each. Hill sprints are particularly beneficial for building speed, says Chase. The added resistance from the incline helps to work and strengthen your stride power. As you fight your way up, your legs grow accustomed to the added resistance. Try running on flat ground after a grueling hill. It’s much easier and you’ll move much faster. Incorporate incline-based running workouts about twice weekly into your training routine. You can do these on a treadmill or find a hilly area outside to tackle. You need speed for more than just quick bursts like sprints. For distance runners, a faster pace can mean the difference between hitting a PR or missing it. So, Chase recommends focusing on your endurance, too. “You can and will improve your stamina and stride form, which will result in improved pace,” she says. It doesn’t matter if you’re on the taller or shorter side, if you don’t have great stamina, then you’ll burn out fast and slow down. By improving this aspect, you’ll have more energy to fuel your run and keep up your speed for longer. 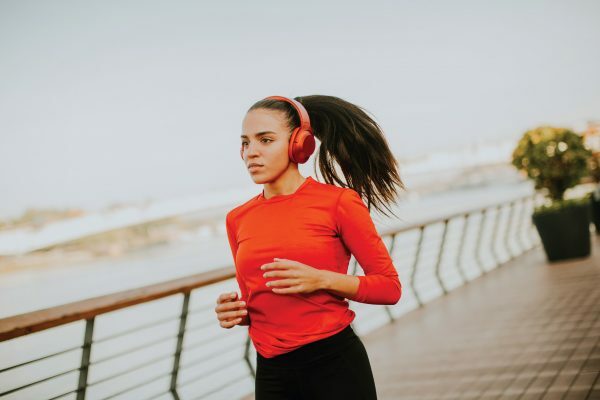 Add a longer endurance run or a run with longer (2-3 minutes) steady or tempo pace intervals to build up your stamina and strength. Focus on pace progression intervals. Whether you’re tall or short, you can enhance your running performance—you’re not limited by your height. And progression intervals are your best friend. To do these, Chase recommends starting off your run at a comfortable pace. You should be able to hold a conversation and breathe comfortably at this speed. From there, gradually increase your pace by 0.2 every few minutes. You can build up to a certain speed like your tempo pace, hold it there for two minutes, and then taper back down from there. Remember that progression really is all about the slow build. If you push yourself too much or too fast, then you increase the risk of injury, which can put a stop to your training for a while or slow you down even more. “Your muscles are not used to these faster speeds, [that is] until they’re conditioned well for them,” Chase says. Chase herself has experienced the impact of challenging your muscles when they weren’t ready. “I actually experienced Achilles tendinitis due to the lack of proper warming up and stretching, but also because I challenged myself a bit too quickly instead of taking it slow and progressing to the higher speeds,” she explains. So, take it slow and always remember to warm up and cool down! Taking the time before your run to prepare your body can ensure that you’ll have a better training session. 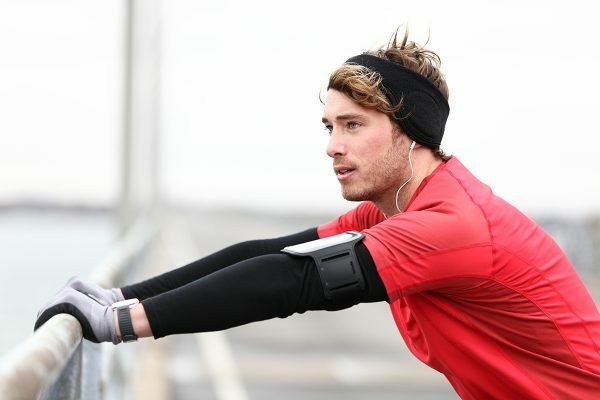 Aaptiv can help you run your best with our audio based fitness workouts. Sign up and save today! How to get the most out of your supplemental cardio workouts.